Saguaro, ranked No. 38 in the High School Football America Preseason Top 100, is spending five days in Southern California preparing for the school’s run at its fifth straight Arizona state football championship. Head coach Jason Mohns has brought his team to SoCal for the last five years in July to beat the heat and monsoon season in Arizona. Friday, I caught-up with Mohns Friday at Cal Lutheran University in Thousand Oaks to talk about the upcoming season. You can watch my interview with him below. Saguaro will play two out-of-state teams this season that start the year in the High School Football America Preseason Top 100 — East (Utah) No. 25 and Liberty (Nevada) No. 61. 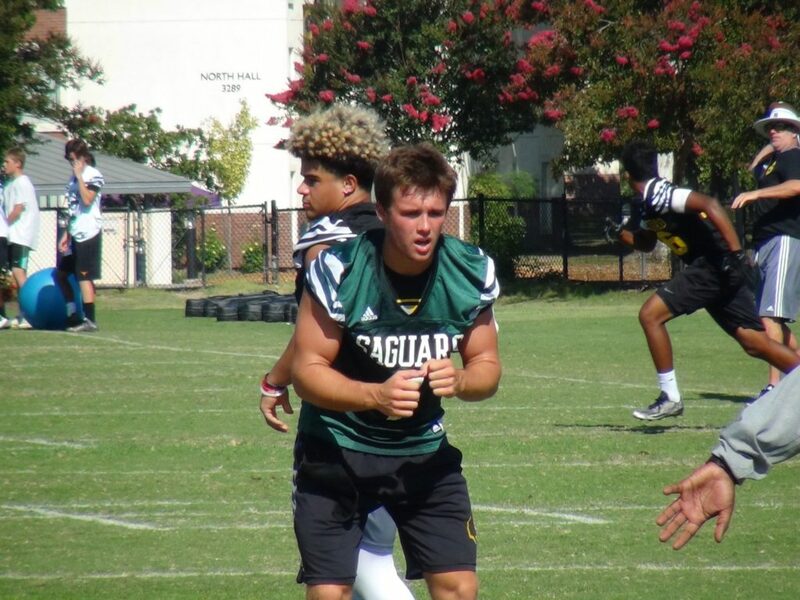 Saguaro QB Max Massingale threw for over 2,200 yards as a junior and ran for over 1,000.